If you are thinking that Google Apps platform never ever can get damaged then it is an absolutely wrong perception because mails in Google Apps have chances to get corrupt. 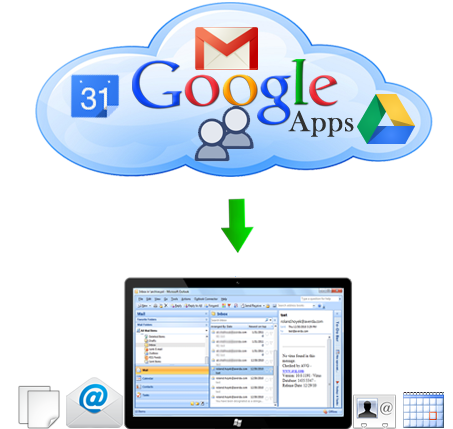 As a protection of mail data in Google Apps, you can make/create backup of Google Apps email and convert Google Apps email to PST or EML file format with amazing third-party software named Google Apps Email Backup tool. Are you sure about good internet connectivity in your computer machine? Are you sure that never ever your emails in Google Apps face the state of corruptness? Firstly, lack of good internet connection is not always there and at that time, if you fail to access your mail data stored in Google Apps, you fail to execute important action. Thirdly, corruption is inevitable, can take place anytime, to avoid loss to business, keep backup of emails at least. Even after the technology has made its landmark, still there are many Google Apps users follow manual method for taking backup of mails in Google Apps. You have to be very skilled and have knowledge of right steps then only you will receive desirable results. According to the contemporary scenario, use professional software like Gmail Backup tool for Google Apps email to PST or EML or MBOX. You need not to be expert in computer knowledge to run our Google Apps backup tool because it is apt in the user comfort zone that even you have raw computer knowledge, you can run application comfortably. This application reliably takes back up of all the mails in different folders into PST or EML or MBOX. When you open the mails you will find mail data as it is without causing any loss. Tool is in two different versions-Demo and Full. Go through freeware trialling first then go for complete version which is meant for purchase.